Dr. Ashley Hallheimer is a licensed clinical psychologist with a diverse training and educational background in psychotherapy and psychological assessment. Her expertise is in providing psychotherapy services to children, adolescents, and adults to address a variety of mental health issues, promote positive wellbeing, and improve academic and sports performance. 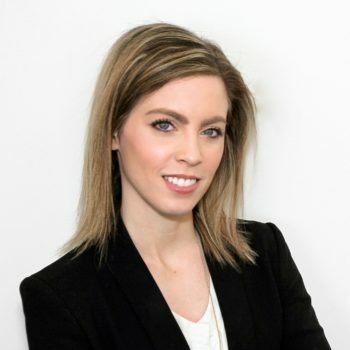 She is dedicated to work collaboratively with clients and to integrate therapy techniques to each individual’s unique needs, as well as to help foster ongoing growth and development in the pursuit of their goals and interests. Dr. Hallheimer obtained a bachelor’s degree (B.A.) in psychology from Christopher Newport University and went on to earn both her master’s and doctoral degree (Psy.D.) in clinical psychology from the American School of Professional Psychology (ASPP), Washington, D.C. Throughout completing her graduate degree, Dr. Hallheimer was employed providing home-based counseling services for the elderly population and worked in a residential treatment facility for adolescent females in Fairfax, VA. As part of her graduate training, she completed practicum placements at a mental health emergency and risk assessment service, a behavioral health clinic working with the LGBTQ+ community, and at a private practice. Her predoctoral internship was conducted at Loudoun County’s Community Mental Health Clinic providing outpatient psychotherapy and psychological assessment services. Dr. Hallheimer’s post-doctoral residency was completed at a private practice in Springfield, VA, providing individual and family therapy services. In order to expand upon her areas of specialization with students and to continue her interest in sports and exercise that is based on her childhood of playing competitive soccer, Dr. Hallheimer pursued international opportunities abroad. During her time living in England, she completed a master’s degree (MSc) in sport psychology from Brunel University London and acquired additional post-doctoral training at the University of Oxford, University Student Counseling Service. Since relocating back to the United States, Dr. Hallheimer is currently completing the requirements to become a Certified Mental Performance Consultant (CMPC) with the Association of Applied Sport Psychology (AASP), in order to work with professional athletes and individuals within high performance demand settings to address issues of perfectionism, realistic goal setting, mental skills training, and stress-reduction techniques. Dr. Hallheimer is a native to the Washington D.C. metropolitan area, and in her free time enjoys traveling, exercising, and teaching herself the guitar.